BUSINESS CARDS are cards bearing business information about a company or individual. They are shared during formal introductions as a convenience and a memory aid. A business card typically includes the giver's name, company affiliation (usually with a logo) and contact information such as street addresses, telephone number(s), fax number, e-mail addresses and website. It can also include telex, bank account, tax code. Traditionally many cards were simple black text on white stock; today a professional business card will sometimes include one or more aspects of striking visual design. The CARTE DE VISITE, abbreviated CdV, was a type of small photograph which was patented in Paris by photographer André Adolphe Eugène Disdéri in 1854, although first used by Louis Dodero. It was usually made of an albumen print, which was a thin paper photograph mounted on a thicker paper card. The size of a carte de visite is 54.0 mm (2.125 in) × 89 mm (3.5 in) mounted on a card sized 64 mm (2.5 in) × 100 mm (4 in). In 1854, Disdéri had also patented a method of taking eight separate negatives on a single plate, which reduced production costs. The Carte de Visite was slow to gain widespread use until 1859, when Disdéri published Emperor Napoleon III's photos in this format. This made the format an overnight success. The new invention was so popular it was known as "cardomania" and it spread throughout Europe and then quickly to America and the rest of the world. A VISITING CARD, also known as a calling card, is a small paper card with one's name printed on it. They first appeared in China in the 15th century, and in Europe in the 17th century. The footmen of aristocrats and of royalty would deliver these first European visiting cards to the servants of their prospective hosts solemnly introducing the arrival of their owners. Visiting cards became an indispensable tool of etiquette, with sophisticated rules governing their use. The essential convention was that one person would not expect to see another person in her own home (unless invited or introduced) without first leaving his visiting card for the person at her home. Upon leaving the card, he would not expect to be admitted at first, but might receive a card at his own home in response. This would serve as a signal that a personal visit and meeting at home would not be unwelcome. On the other hand, if no card were forthcoming in return, or if a card were sent in an envelope, a personal visit was thereby discouraged. As an adoption from French and English etiquette, visiting cards became common amongst the aristocracy of Europe, and also in the United States. The whole procedure depended upon there being servants to open the door and receive the cards and it was, therefore, confined to the social classes which employed servants. Some visiting cards included refined engraved ornaments, embossed lettering, and fantastic coats of arms. However, the standard form visiting card in the 19th century in the United Kingdom was a plain card with nothing more than the bearer's name on it. Sometimes the name of a gentlemen's club might be added, but addresses were not otherwise included. Visiting cards were kept in highly decorated card cases. The visiting card is no longer the universal feature of upper middle class and upper class life that it once was in Europe and North America. Much more common is the business card, in which contact details, including address and telephone number, are essential. This has led to the inclusion of such details even on modern domestic visiting cards, a practice endorsed by modern books of etiquette. American Psycho: Business Card Scene - YouTube 1:35.
Business Card Printing - 2015's Best - Printaholic.com. Business Card Printing Review - "Reviews and Comparisons." TopTenReviews. Business Card Scanners - Amazon.com. Business card with built-in ECG is perfect for cardiologists - engadget. CALLING CARD ETIQUETTE - "Cards carried meaningful messages: a visitor folded down the upper right hand corner if she came in person; a folded upper left corner indicated she stopped to leaver her congratulations; a folded lower right corner said goodbye; a folded lower left corner offered condolences." Carte de visite - was a type of small photograph which was patented in Paris by photographer André Adolphe Eugène Disdéri in 1854. It was usually made of an albumen print, which was a thin paper photograph mounted on a thicker paper card. Five Best Business Card Printing Sites - Lifehacker. Free Business Card Templates Inspired by American Psycho - Design Instruct. King Jim Pitrec Business Card Recorder - handheld scanner. PATRICK BATEMAN BUSINESS CARD - of American Psycho fame. The 5 Best Business Card Printing Services - FullContact. The History of Business Cards - Gentleman's Gazette. Vellum - a heavy off-white fine-quality paper resembling parchment. 123Print - "Custom Business Cards." Creating a business card that shows off your brand is easy as 1, 2, 3. Choose from our selection of business card styles, then personalize a design template or upload your own logo at no extra cost. 48hourprint.com - "Printing business cards online never felt better:Tons of Choices - Full Color, Folded and Rounded Corners." American Psycho Business Card Business Card - Zazzle. American Psycho Design - "Ultra Destinguished High Quality Business Card Designs." 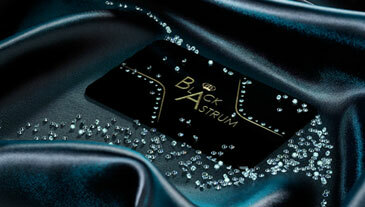 BLACK ASTRUM - world's most expensive business cards featuring Swiss metal, diamonds: "Black Astrum Signature Cards (encrusted in diamonds of the highest quality) are produced in limited numbers and are offered to new members by invitation only." The cards are custom-made and sold in packs of 25, 50 or 100. 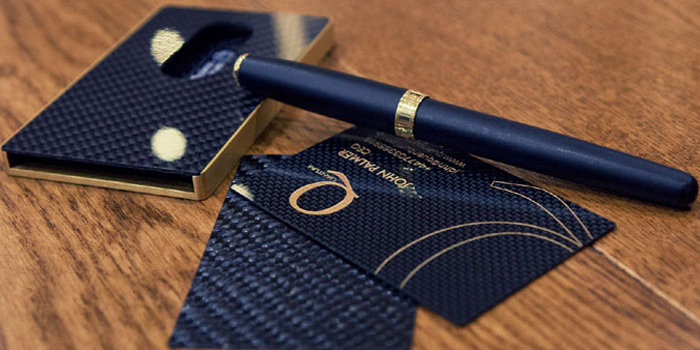 Cardissimo Carbon Fibre Business Card - made with genuine carbon fiber using three sheets of hand-varnished material. CRANE & CO. - founded in 1801. "Fine Business Cards. Letterpress Business Cards." FedEX - "Choose from thousands of templates or upload your own design to get started today." GotPrint - "Full Color Glossy Business Cards." High quality full color offset printing on multiple premium paper options. UV Coating will apply to both sides, on 14pt Gloss Coated Cover with color both sides, unless No UV Coating on Back is selected. JukeBox - "Our wide range of products boast rare and impressive materials like Cotton, Wood, Pulp, Premium Black, and Cork. 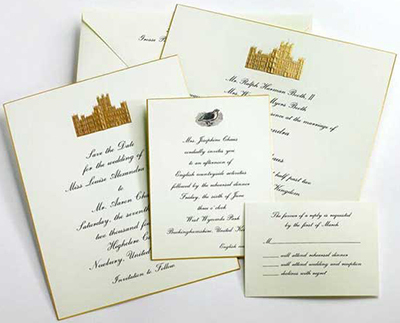 Our print services include premium options like foiling, embossing, laser-cutting, letterpress and coloured edging." 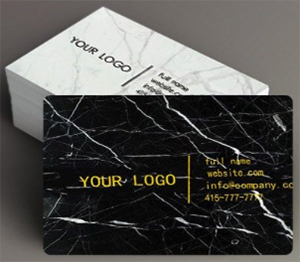 MIKOL - "We introduce to you the world's very first marble stone business cards! No two marble pieces will ever be fully the same since are dealing with 100% natural marble. Each business card you hand out will truly be the only design in the World!" Mitsubishi Materials Fine Gold Card - "Custom Gold business card by Mitsubishi." MOO Business Cards - "Create your customized business card online." Morning Print - "Impression for success." Professional business cards. Mrs. John L. Strong Fine Stationery - "Since 1929, Mrs. John L. Strong has upheld the tradition of handcrafting the finest stationery of the highest quality for the discerning customer. We continue to employ old world techniques, including hand engraving of each die or plate, hand bordering of each card, hand lining of every envelope and hand finishing of every order we produce." 699 Madison Avenue, New York, U.S.A.
Overnight Prints - "Business Cards | Customize or Upload your own." Pettinaroli - "Classic stationer shop, since 1881." Milan Italy. Print Place - "Fast Business Card Printing Online." PsPrint - "High-Quality Businesss Cards." Our standard business cards come in both standard 3.5” x 2” size, and slim and square formats, all available on numerous premium papers including ultra-thick 16-point gloss and smooth 15-point velvet. For extra appeal, try adding rounded corners to your card. SMYTHSON OF BOND STREET - since 1887. "Over 125 Years of British Luxury." T-RexCards.com - "Raised Letter Business Cards." Taste of Ink - "Business Card Design & Custom Business Cards." VistaPrint - "Business Cards - Make Your Own Custom Cards." Zazzle - "Custom Business Cards." Stand out from the crowd with a business card that is singular to your personality. Zazzle offers you the option of creating a custom business card in various shapes and sizes. You have your standard, your chubby, or your skinny style. You can also have rounded or squared edges.